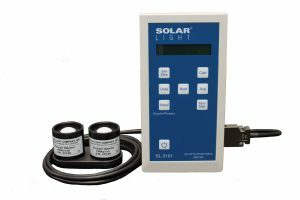 Solar Light’s Model 6D Ultraviolet Safety Meter is a precise instrument that measures worker exposure to UV radiation, per standards published by the American Conference of Governmental Industrial Hygienists. Solar Light’s Model 6D Ultraviolet Safety Meter is a valuable tool for any industry that involves worker exposure to UV radiation. 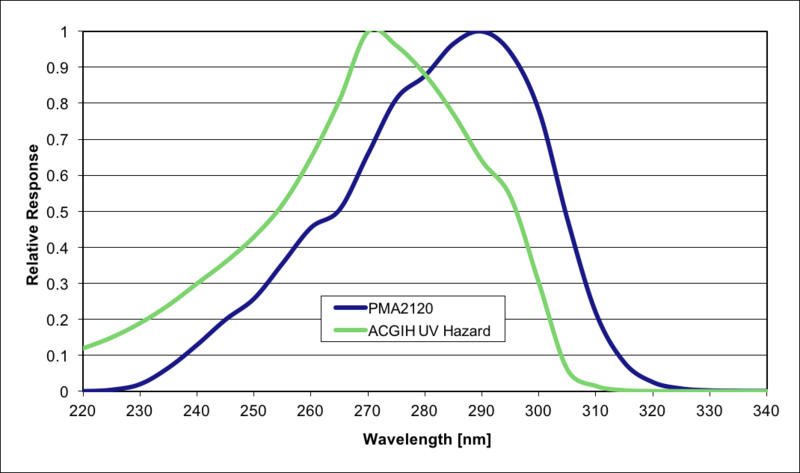 It is sensitive to ultraviolet radiation specified as hazardous in standards published by the American Conference of Governmental Industrial Hygienists. 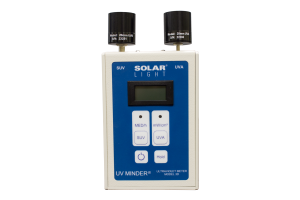 Those standards state that the total UV exposure in an eight-hour period should not exceed 3 millijoules per square centimeter at 270nm. 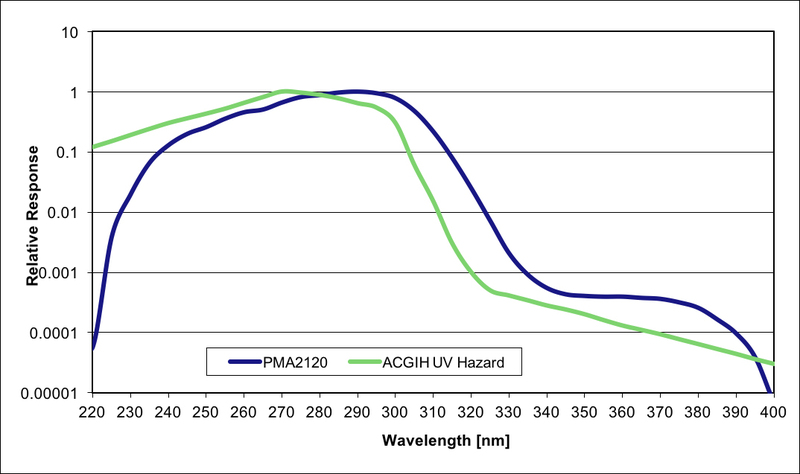 Other wavelengths have hazardous potential related to that of 270nm by the Spectral Weighting Function (see product data sheet for details.) 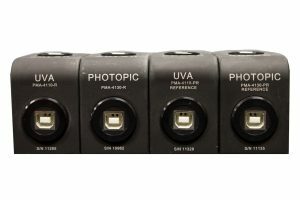 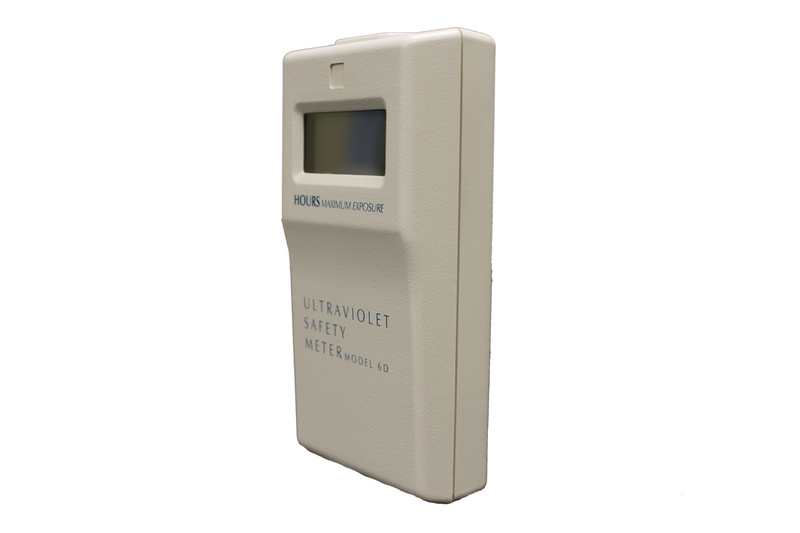 The 6D Safety Meter monitors the integrated effect of all ultraviolet wavelengths from the light source. 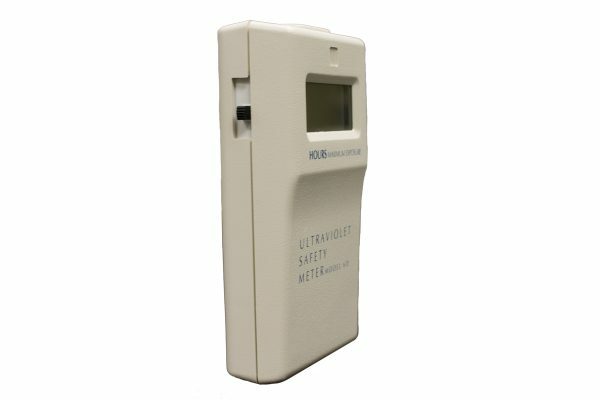 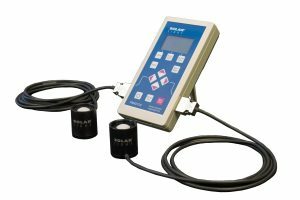 The model 6D Ultraviolet Safety Meter has a self-contained sensor mounted on the top panel of the meter. 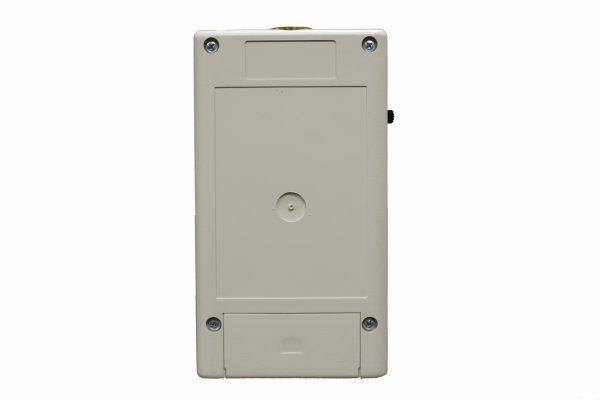 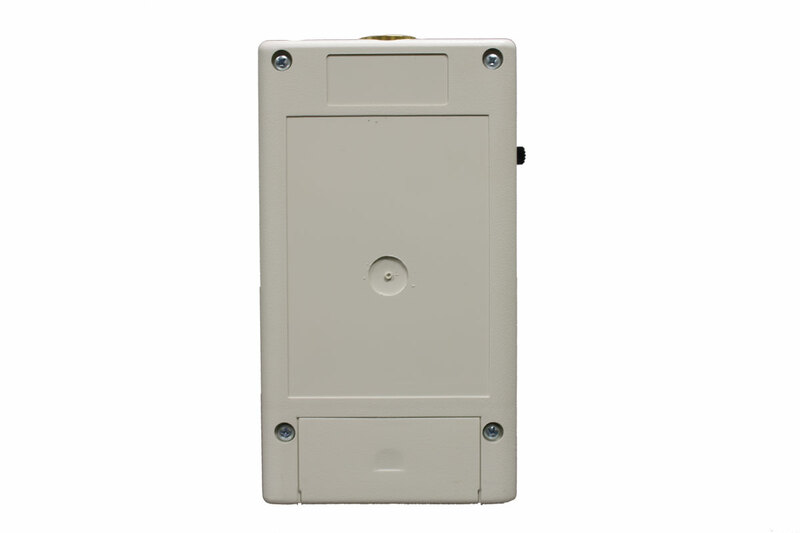 It is activated by a sliding ON/OFF switch. 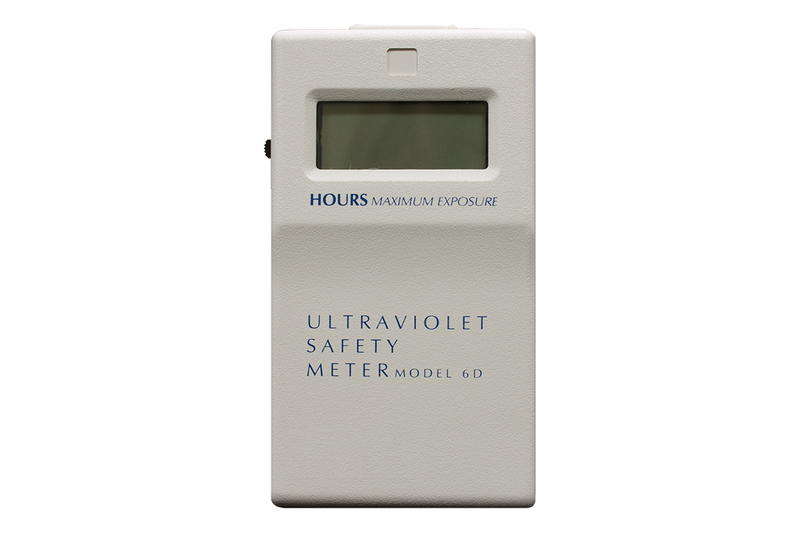 The maximum safe exposure time in hours and 1/100 parts of an hour is shown on the LCD. 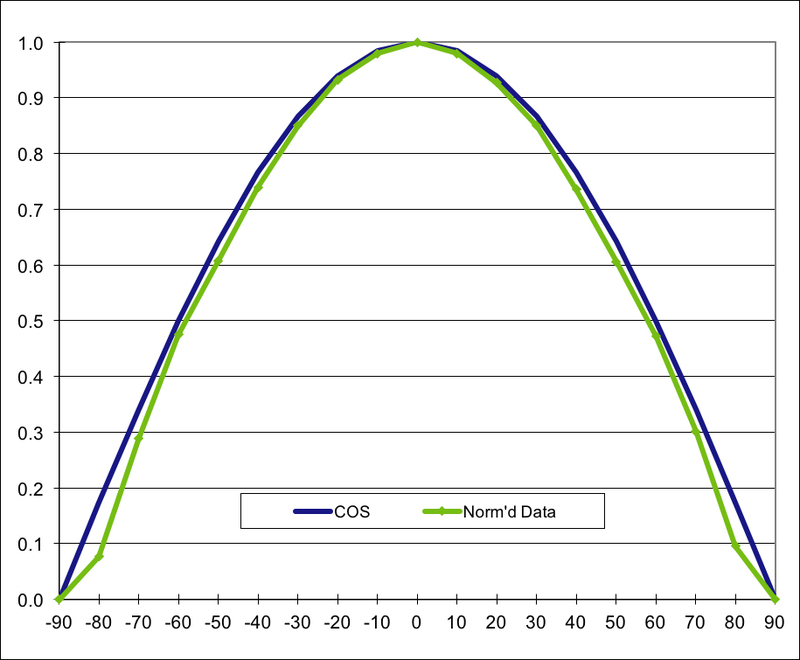 A reading of 10.00 hours indicates a source too weak to reach the Threshold Limit Value during 8 hour working day.